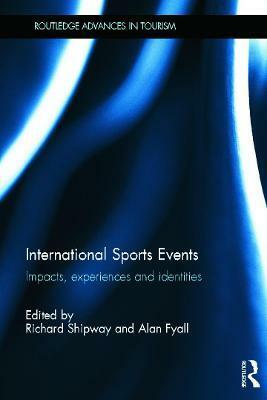 This book offers new insight into International Sports Events (ISEs), examining the relationship between sport, tourism and events. It assesses sports events through the lens of both sports participants and spectators, based on three primary themes: impacts, experiences and identities. The first section of the book contributes to the future development of knowledge by analyzing the impact of sport events and their legacies from economic, environmental, social, sporting, political and cultural perspectives - an understanding of the impacts and potential legacies of sports events is fundamental to their future development. In the second section of the book, the focus moves from impact and legacy issues towards exploring consumer behaviour and participant experiences at a diverse selection of International Sports Events. The emphasis within this section is grounded within the tourism dimension of sports events. Section three of the book highlights the dominant role of identity at a diverse selection of sports events, and demonstrates how that identity is displayed whilst either watching or participating in sport and leisure. The book provides an international analysis drawing on emerging empirical research conducted across a diverse range of sport and leisure activities and contrasting locations. Linked to the three underlying themes of the book, a future research agenda for International Sports Events is provided which is centred on four key pillars: impact, identity, internationalization and interdisciplinary research. This timely book will be of interest to students, researchers and academics studying Event Management, Sport Management and Sport Tourism. Richard Shipway, Ph.D., is Associate Dean: International Engagement and Senior Lecturer in Sports Studies in the School of Tourism, Bournemouth University, UK. Alan Fyall, Ph.D., is Orange County Endowed Professor of Tourism Marketing, Rosen College of Hospitality Management, University of Central Florida, USA.